Adam Stern has built his career around his passion for innovation and his entrepreneurial spirit. Formerly Senior Managing Director at Spencer Trask Ventures, Mr. Stern has more than 25 years of venture capital and investment banking experience focusing primarily on the life science and technology sectors of the capital markets. Mr. Stern has completed over 100 transactions throughout his career, including private placements, public offerings, and mergers and acquisitions, with an aggregate value in excess of a billion dollars. Mr. Stern has led private and public financings for a wide variety of companies. Mr. Stern currently serves as a Director of Adgero Biopharmaceuticals Holdings, Inc., Hydrofarm Holdings, Inc., Dance Biopharm, Inc., and Matinas BioPharma Holdings, Inc.. He is a former Director of InVivo Therapeutics Holdings Corp., Organovo Holdings, Inc., Prolor Biotech, and Labstyle Innovations Corporation. In 2013, Prolor was acquired by OPKO Health, Inc. for over $500 million. Mr. Stern was Senior Managing Director at Spencer Trask Ventures from 1997 to 2012 and was at Josephthal & Co.from 1989 to 1997, most recently as Senior Vice President and Managing Director of Private Equity Marketing. Mr. Stern has been a FINRA licensed securities broker since 1987 and a General Securities Principal since 1991. Cassel Shapiro, Managing Director of Private Equity Investment Banking, joined Aegis Capital Corp. and SternAegis Ventures in January 2013. 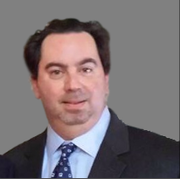 Mr. Shapiro has extensive experience in venture formation and strategic consulting, venture investment banking, securities trading, and business process software design. From 2007 to 2012, Mr. Shapiro was employed by Spencer Trask Ventures, Inc., as Senior Vice President, Investment Banking. 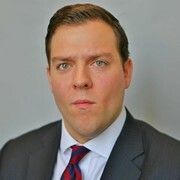 Prior to Spencer Trask, he held the post of Head Trader, Special Situations, at Kellogg Capital Group. He is a member of the New York Society of Security Analysts and CFA Institute. Mr. Shapiro is a CFA Charterholder, a Microsoft Certified Application Developer in C# .Net (MCAD.Net), and has attained the FINRA 7, 63, 55 (Nasdaq Trader), 24 (Securities Principal), 79 (Investment Banker) and 87 (Research Director) designations. He holds a B.S.B.A., finance concentration, from Boston University Questrom School of Management. 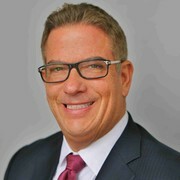 Roger Baumberger, CFA joined Aegis Capital Corp. in March 2013 as Senior Managing Director of Private Equity Banking and Chief Operating Officer of SternAegis Ventures. Mr. Baumberger’s extensive investment banking and corporate finance experience at New York City-based firms has been focused on private and public emerging growth companies in all sectors including healthcare, technology, software, internet and telecommunications. Specific areas of professional expertise include private placement of equity and debt, including venture capital and PIPE financings; mergers and acquisitions; initial public offerings; and the valuation of securities and business. From 1995 until March 2013, Mr. Baumberger was with Spencer Trask Ventures, Inc. where he was Senior Managing Director, Investment Banking. Prior senior corporate finance positions were held at Josephthal & Company, BDO Seidman, Ladenburg Thalmann & Co., The Equitable Life Assurance Society and Marine Midland Bank. He is member of the New York Society of Security Analysts and CFA Institute. Additionally, he is a past president of The Executive Forum and a director of the NYU Alumni Association. 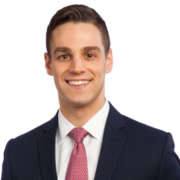 Mr. Baumberger’s academic credentials include designation as a Chartered Financial Analyst, an M.B.A. with distinction from New York University’s Stern School of Business, and an A.B. from Dartmouth College. Michael Siek joined Aegis Capital Corp. and SternAegis Ventures as Senior Managing Director. Mr. Siek has over 25 years of experience providing specialty financing and human capital advice regarding emerging private and public companies. Previously, he was President of Spencer Trask Ventures, where he spent 18 years of his career. During his tenure with Spencer Trask, he has raised more than a quarter billion dollars for over 75 of Spencer Trask's portfolio companies, ranging in industries from medical and biotechnologies to SaaS Software and IT services. Mr. Siek started his career at Lehman Brothers and is currently registered with General Securities, Principle/Supervisor and State Securities licenses. He is a graduate of Rollins College and holds a B.A. in Economics and Business, and lives in Rowayton, CT.
Daniel Seto joined Aegis Capital Corp. in September 2016 as Managing Director of SternAegis Ventures and Private Equity Banking at Aegis Capital. Mr. Seto has over 15 years of experience in healthcare investing, including investment banking, portfolio management, and equity research. Previously, he was Senior Vice President at ArcLight Advisors LLC, a boutique investment bank providing investment banking and business development services focused on healthcare companies. Prior to that, he was Vice-President in healthcare investment banking at Ledgemont Capital Group. From 2004-2008, Mr. Seto was a Portfolio Manager for Wheaten Capital Management LLC, a long/short equity healthcare hedge fund. As Portfolio Manager, Mr. Seto invested across all subsectors of healthcare, including pharmaceuticals, specialty pharmaceuticals, biotechnology, medical technology, life science tools, and healthcare services with a particular emphasis on small- and mid-cap companies. From 1999-2003, Mr. Seto was an equity analyst at Bank of America Securities covering the Specialty Pharmaceuticals industry. Mr. Seto started his career in equity research at UBS covering the Specialty Pharmaceuticals industry. Mr. Seto's academic credentials include designation as a Chartered Financial Analyst and a B.A. in Economics from the University of Michigan. Larry Cohen. Managing Director of Private Equity Investment Banking. 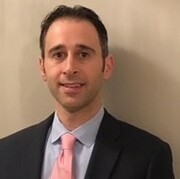 Mr. Cohen joined the Firm in May of 2018, he brings close to 20years of Investment banking and capital raising experience. Specializing in the Healthcare sector including Bio-Tech, Pharma, Medical Device and Technology. Mr. Cohen began his career at Lehman Brothers in the late 90’s, where he was part of the Hedge Fund and Banking Group. He is a FINRA registered representative with a series 7 and 63. 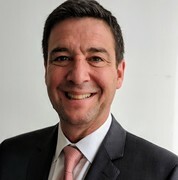 John Russo, Managing Director of Private Equity Investment Banking, Joined the firm June in 2018. Mr. Russo has passed the Series 7,66,55,24 Finra exams. He has worked in trading and business development capacities at firms such as Goldman Sachs, Merrill Lynch and JPMorgan Chase. For the last 5 years John has worked in private equity, specializing in fundraising in the life science and technology sectors. John is a Certified Retirement Plan Consultant. Jamie Polak joined Aegis Capital Corp. in October 2012 as a Vice President of Wealth Management and Insurance. Mr. Polak has extensive experience in financial modeling, securities valuation, asset allocation, and risk management. Since 2007, Mr. Polak has worked as a research analyst for the hedge fund RL Capital partners, a multi-strategy growth hedge fund. At RL Capital, Mr. Polak focused on investment analysis and portfolio management, with an emphasis on small and mid-cap biotechnology companies. Mr. Polak is also a general partner of a venture capital fund called Domaco Venture Capital Fund, focusing on private placement investments and fund administration. Prior to Aegis, Mr. Polak was previously with Maxim Group, where he focused his research on small to mid-cap U.S. listed equities. He also worked as a multimedia producer for Bloomberg L.P., providing analysis and reporting for the Bloomberg terminals. Mr. Polak started his career as an Equity Research Associate for Gruntal & Co. L.L.C., specializing in Internet Software and Biotechnology companies in the early 2000s. Mr. Polak holds a BBA from the George Washington University and an MBA from the Smith School of Business at the University of Maryland. He is a CERTIFIED FINANCIAL PLANNER™ and holds FINRA series 7, 63, 24, and 16 licenses. John Alexanian joined SternAegis Ventures in 2014 as Managing Director. 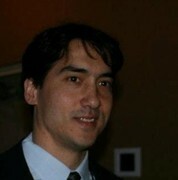 Mr. Alexanian worked with Adam Stern at Spencer Trask from 2008 to 2012, as Managing Director. He has FINRA 7, 63, 4, and 24. John Cutrone, Vice President of Private Equity Investment Banking, joined SternAegis Ventures and Aegis Capital in September 2017. Mr. Cutrone brings international experience in asset management, banking, and private equity. From 2014 to 2017 Mr. Cutrone was employed at W.P. Carey, a $24B private equity manager. Prior to that, he rose from Healthcare Analyst to Asset Management Senior Associate at Bank of New York Mellon from 2010 to 2014. Mr. Cutrone is a CFA Charterholder and holds FINRA 7 and 63 licenses. He graduated from the Gabelli School of Business, Roger Williams University. He is an active member of CFA Society New York Young Leaders group and Big Brothers Big Sisters of America. 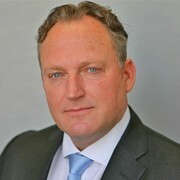 Diedrich Holtkamp, Senior Associate of Private Equity Investment Banking, joined SternAegis Ventures in 2019. Mr. Holtkamp brings diverse experience in finance, real estate, business development, marketing, manufacturing and entrepreneurship. 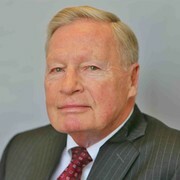 From 2007 to 2011 Mr. Holtkamp worked as a financial advisor with JP Turner & Co., then with JP Morgan Chase focusing on portfolio analysis and management. From 2011 to 2014 Mr. Holtkamp pivoted towards real estate focusing on property analysis, sales, residential and corporate leasing. More recently, Mr. Holtkamp was the Director of Business Development and Marketing for iKahn Capital and LLCBusinessLoans.com, as well as, Co-Founder of an apparel startup. Mr. Holtkamp was a member of the Corps of Cadets and Air Force ROTC program at Norwich University where he studied Economics and Business Administration. He is FINRA licensed holding Series 7 and 63 licenses. 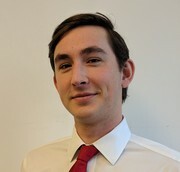 Nicholas Petracca joined Aegis Capital Corp. in 2015. From 2013 until 2015, Mr. Petracca was an Analyst at Triangle Equities, a full-service real estate development firm in New York City. Mr. Petracca received a B.A. in Political Science from Denison University in 2013. 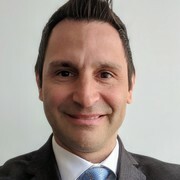 Edward Shadek joined Aegis Capital Corp. in 2018. Mr. Shadek received an B.A. in Economics from Wesleyan University in 2018. 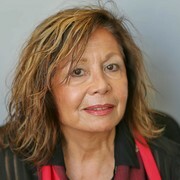 Tierney Picardal joined Aegis Capital Corp October 2012. Previously, Ms. Picardal was Adam Stern's Executive Assistant at Spencer Trask Ventures from 2004 to 2012. She worked at JP Morgan Chase in January 1993 as Operations Liaison in their Middle Market Retail Investments Division, and later from 1996 to 2004 managing BrokerageLine Discount Brokerage, Sales Support and Customer Service 800-Call Line. Ms. Picardal is FINRA Licensed, and a General Securities Principal since 1996.